Registration is Now Open for the 2019 Diversity Immigrant Visa Lottery! The U.S. Embassy is happy to answer some common questions about the Diversity Immigrant Visa (Visa Lottery) program. The United States Embassy is happy to answer some common questions that non-immigrant (“holiday”) visa holders and applicants may have. 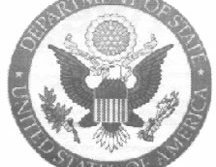 The United States Embassy is happy to answer some common questions about lost, stolen and expired Green Cards. The United States Embassy is happy to answer some common questions about non-immigrant “holiday” visas. What are the requirements for minor children traveling to the United States? 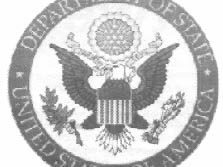 The United States Embassy is happy to share information about the requirements for minor children traveling to the United States. The United States Embassy is happy to answer some frequently asked questions about the process of applying for student visas. How do I apply to universities in the United States? The United States Embassy is happy to answer some questions about the process of applying to universities in the United States. How do I apply for a holiday visa? The United States Embassy is happy to answer some common questions that travelers may have about applying for their U.S.
What do I do now that I have a visa? The United States Embassy is happy to answer some common questions that travelers may have once they have acquired their U.S. The U.S. Embassy is pleased to announce an initiative that will allow applicants more flexibility in picking up their visas and immigration packets. Who Must File Income Taxes?If you are a U.S. citizen or resident alien living or traveling outside the United States, you generally are required to file income tax returns, estate tax returns, and gift tax returns, and pay estimated tax in the same way as those residing in the United States. The United States Embassy is pleased to announce two initiatives to make renewing and applying for a visa easier and more efficient for children under 14. On the day of your interview, please arrive at the Embassy at the time indicated on your printed appointment confirmation page. This Ask the Consul article addresses photo requirements for non-immigrant visa (NIV) applications. This Ask the Consul article addresses the Immigration and Nationality Act (INA) Section 212(a)(6)(C)(i) visa ineligibility for non-immigrant and immigrant visa applicants. Non-Immigrant Visa Holders: No Interview Required for Renewals! Interview Waiver Program (IWP) Q: What is the Interview Waiver Program (IWP)? This edition of Ask the Consul addresses common questions applicants ask when refused tourist visas at the U.S.
Q: What is the Interview Waiver Program (IWP)? A: The Interview Waiver Program is a new procedure that allows non-immigrant visa (NIV) applicants who meet specific conditions to skip the in-person interviews to renew their visas. US Embassy Georgetown Visa Fair When: Saturday, May 3, 2014 at 10am-2pm Where: Main & Bentinck Streets (outside Embassy Warehouse) Are you planning to travel to the United States soon? “Ask the Consul” is a bi-weekly column from the U.S. Embassy answering questions about U.S.
Q: How early should I apply for a visa? The answer is: “As soon as you can”! The United States Supreme Court recently ruled that Section 3 of the Defense of Marriage Act (DOMA) was unconstitutional. I’m a U.S. Permanent Resident (green card holder). How Long Can I Stay in Guyana at One Time? This edition of Ask the Consul addresses common questions applicants ask when they intend to travel outside the United States. The following column answers frequently asked questions about the immigrant visa process associated with adopted children. How Do I Demonstrate “Strong Ties” to Guyana? This edition of Ask the Consul addresses common questions applicants ask when refused a tourist visa at the U.S. Installment One Hundred Forty-Three: New non-immigrant visa appointment and fee process. Beginning March 15, 2013, the US Embassy in Georgetown will implement a new procedure to simplify and streamline the visa application process for those traveling to the United States. 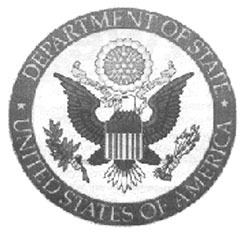 Beginning February 1, 2013, the U.S. Citizen and Immigration Services (USCIS) will begin collecting a $165 fee from applicants once they have been issued Immigrant Visas. Installment One Hundred Forty-One Unfortunately, applicants for visas sometimes receive fraudulent or inaccurate information from persons regarding the United States visa process and how to complete the necessary requirements for the application. Installment One Hundred Forty Q: What is the Diversity Immigrant Visa Program? The Department of State has an annual diversity visa lottery for immigration to the United States. Q: I am a US citizen and I want to vote in the next US presidential election, can I vote while I am living in Guyana? Q: My friend told me that the Embassy has more tourist visas available this year and is giving them out now, is that true? Installment One Hundred Thirty-Seven This Ask the Consul installment addresses questions regarding President Obama’s announcement on the Deferred Action Process for Young People Q: I heard that my children under 16 can stay in the United States without being deported, is this true? This Ask the Consul installment addresses questions and provides useful tips for waivers for immigration related ineligibilities. Installment One Hundred Thirty-Five This Ask the Consul installment addresses frequently asked questions regarding Non-Immigrant Visas. Installment One Hundred Thirty-Four This Ask the Consul installment addresses frequently asked questions regarding receiving United States Social Security benefits and voting while living abroad. 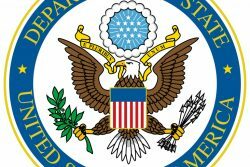 Q: What can the US Embassy do for a US citizen in trouble with the law in Guyana? Installment One Hundred and Thirty-One In Fiscal Year 2012, the Department of State estimates it will process 10.5 million nonimmigrant visas and one million immigrant visas. Installment One Hundred and Thirty This edition of Ask the Consul addresses three common questions asked at the US Embassy. Installment 129 This Ask the Consul article addresses some common issues encountered with visa photographs. Installment One Hundred Twenty-Eight This edition of Ask the Consul continues from Installment 127 to address additional questions that applicants ask concerning permanent migration to the United States. Installment One Hundred Twenty-Seven This edition of Ask the Consul addresses common questions that applicants ask when they intend to travel outside the United States. Installment One Hundred Twenty-Six Permanent Resident (Green Card Holders) Regulations This edition of Ask the Consul addresses common questions that applicants ask when they intend to travel outside the United States. On occasions, the US Embassy may request that immigrant visa applicants and their petitioning family members undergo a DNA test to prove a biological relationship. Installment One Hundred Twenty This Ask the Consul article addresses services offered to U.S. This Ask the Consul article addresses services offered to U.S. Citizens present in Guyana, as well as Guyanese and nationals of other countries interested in traveling in to the United States or its territories.